Matt has fifteen years of experience in the land surveying and engineering industry. He is a licensed Professional Land Surveyor in both Maryland and Delaware with extensive knowledge of all facets of the trade including surveys for boundaries, topography, subdivisions, easements, bathymetry, ALTA/NSPS, construction stakeout, and elevation certificates. He is responsible for managing all the survey work and daily operations of the field crews. Matt is a 1999 graduate of Hotchkiss in Lakeville, Connecticut, and a 2003 graduate with a B.A. in economics from Bucknell University in Lewisburg, Pennsylvania. Prior to Lane Engineering, Matt worked with Langan Engineering out of the Philadelphia office and has surveyed in most the big Northeast cities. 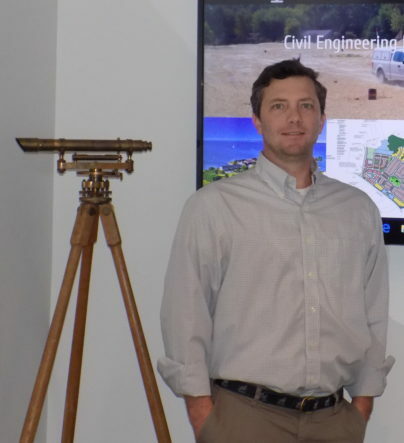 Matt is an active member of the Maryland Society of Surveyors, the National Society of Professional Surveyors, the Chesapeake Bay Yacht Club in Easton, Maryland and the Tred Avon Yacht Club in Oxford, Maryland. Matt resides in Easton, Maryland.